How do I use Data Items in SQL-RD? 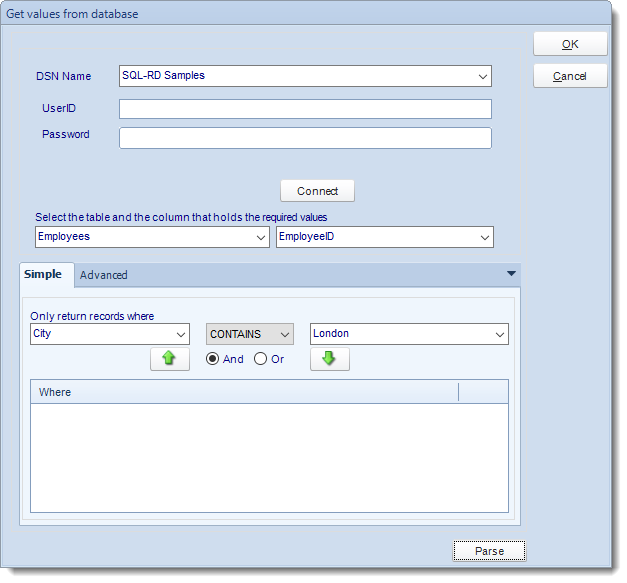 The Data Items button provides the ability to set up a number of data queries that SQL-RD will then store and allow you to call up for use when required. Enter a name for the new data item. Select a DSN, provide any necessary credentials and click Connect. You will then be presented with the Get Values from Database module where you can build a query using the intuitive simple setup wizard, or paste in your own query in the Query field. Allow multiples values to be returned by query: This option will separate different values. Replace NULL values with the default value of: This option will pass multiple values into SSRS Parameters. If no records found then returned the default value of: This options is to write a description for the records that will appear in blank. Field delimiter (optional): The fields will be surrounded with the special characters that you desired. The Data Item is successfully created. Select a data item and click Edit. 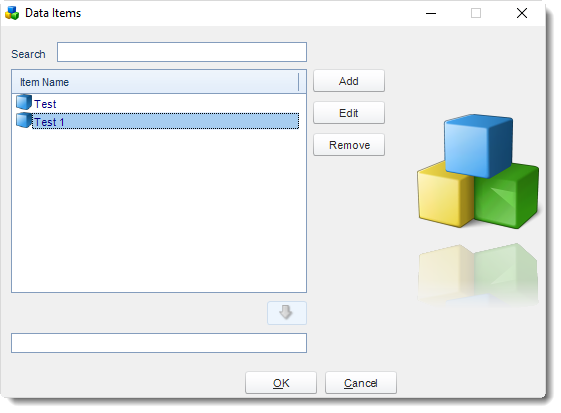 You will be presented with the Get Values from Database module where you can modify the query using the intuitive simple setup wizard, or paste in your own query. Select a data item and click Remove. 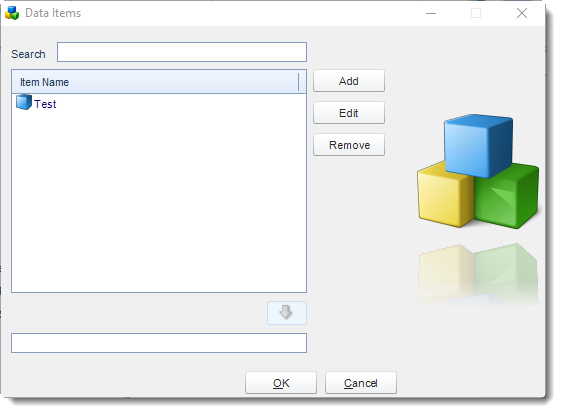 With the Insert Menu, you can insert data items into various fields in SQL-RD. If you have several data items, you can use the search field to quickly locate the data item you need.